Nocturne's lush choreographic environment is an imagined mating ritual, set in a grove of lacing fronds. The sultry atmosphere is pungent with the scent of night blooming jasmine. The music was written by Louis Hardin, the blind street musician, known as Moondog. The score is a suite of cannons in three movements, for string ensemble and percussion. The percussion instruments were all devised, built, and played by Moondog. 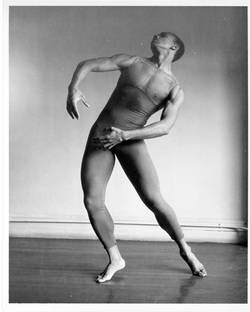 Nocturne was first presented in 1952 as a second choreographic offering by Donald McKayle, following the enormous success of his initial work Games, for his concert dance ensemble, Donald McKayle and Company. Since then, it has been included in the repertories of such dance companies as the Repertory Dance Theater of Salt Lake City, Utah and the Batsheva Dance Company of Tel Aviv, Israel. Among the many dancers in Mr. McKayle's former dance company who have performed this work are: Alvin Ailey, Louis Falco, Christyne Lawson, Arthur Mitchell, Joseph Nash, Ramón Segarra, Gus Solomons Jr., Lee (Becker) Theodore, Sylvia Waters, Dudley Williams, and Lester Wilson.